The company wants to make products fast for US consumers. 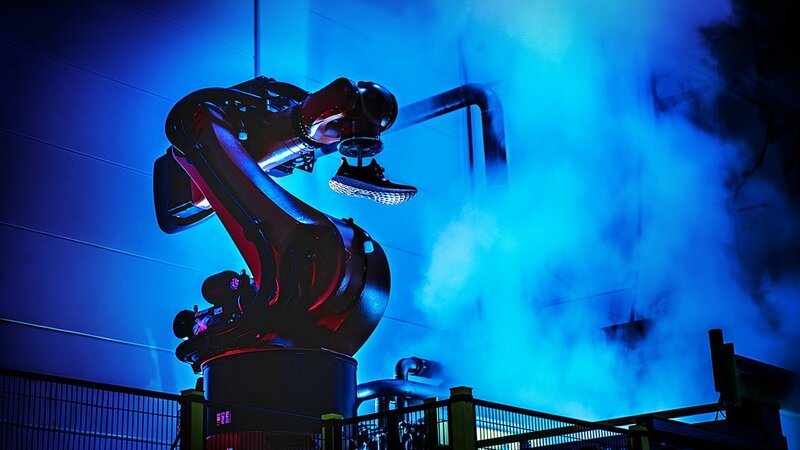 Late last year, Adidas announced plans to bring shoe production back to Germany starting in 2016. With that in mind, the company created a new manufacturing facility staffed by robots, known as Speedfactory. Along with setting one up in its native country, Adidas also revealed there would be a separate Speedfactory in the US, slated to open in 2017. Today, the sportswear giant shared more details about this project, announcing that its Stateside production facility will call Atlanta home. The 74,000-square-foot space is set to be fully functional by the end of next year, and Adidas says it aims to make 50,000 pairs of running shoes there. Sure, that's a small fraction when you consider that the company made 301 million pairs last year, but it's only the beginning. The Speedfactory is designed to make products at a rapid pace, with an automated assembly line that combines with craftsmanship to create footwear (and other things) in high volumes. Most importantly, perhaps, it lets Adidas rely less on Asian facilities, some of which have been scrutinized for unethical labor practices. It's also about "endless opportunities for customization in America," Adidas said in a press release. The Speedfactory in Atlanta will create about 160 jobs for human workers, according to Adidas, though it didn't disclose what type of work that would entail. But hey, someone needs to keep those robots in check, right?